After a court hearing held in the Malaysian capital Friday, Indonesian Siti Aisyah and Vietnamese Doan Thi Huong will be tried on October 2 for the murder of of Kim Jong Nam - the estranged half-brother of North Korean leader Kim Jong Un. They will be tried together and will officially enter their pleas when the trial begins. Both women appeared at the high court outside of Kuala Lumpur handcuffed while wearing traditional Malaysian garb and bulletproof vests. According to media reports, Doan was calm during the hearing but Aisyah later broke down and was comforted by her lawyers. Doan and Aisyah - who remain the only suspects to date - are alleged to have poisoned Kim on February 13 by smearing his face with the lethal VX nerve agent, listed as a weapon of mass destruction by the United Nations. Kim Jong-Nam was in the crowded departure hall of the Kuala Lumpur International Airport, when the women allegedly assaulted him and then fled the scene. He died en route to the hospital. Before the two women appeared in court, there were seven other North Korean suspects initially on the Malaysian police's radar. Four had entered the country a few days before the murder and left on the day of the attack. They are still at large and wanted by Interpol. Three more suspects dodged police questioning by seeking refuge at the North Korean embassy in Kuala Lumpur. One is a potential key witness for Siti Aisyah's defence. They were later allowed to return to North Korea in exchange for nine Malaysian diplomatic corps staff and their families who were previously barred from leaving North Korea. Both accused women reportedly eked out a living as social escorts. They maintain that unknown males had tricked them into thinking they were actors in a hidden-camera TV show, for which they were paid between $100 (85 euros) and $200 (170 euros) per "act." Aisyah's lawyer, Gooi Soon Seong, previously told the Associated Press that a North Korean man identified by police as Ri Ji-u had recruited her in early January to act in his video prank shows. She also met Hong Song Hac (one of the four wanted by Interpol), in Cambodia who had also told her he produced video prank shows for the Chinese market. Hong had instructed her to practice the prank several times at malls and also at the airport. Gooi told Reuters news agency that Hong then pointed out Kim Jong Nam to Siti Aisyah on February 13, and handed her the poison, which she then unknowingly smeared on the victim's face. Malaysia and North Korea once enjoyed congenial relations, with a reciprocal arrangement for visa-free entry for their citizens. 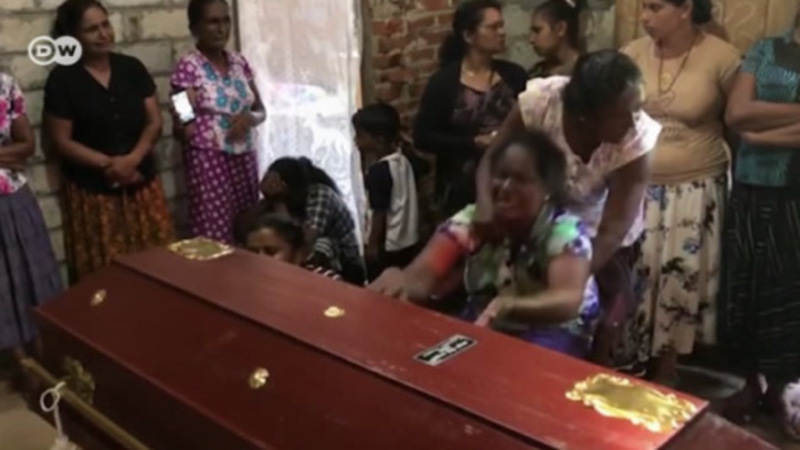 Malaysia however reversed this in March, citing national security reasons as tensions escalated between the two nations following the murder. Kim Jong Nam had allegedly entered Malaysia using a fake diplomatic passport under the name Kim Chol. His true identity only surfaced later, with North Korea first denying it, then later confirming it and accusing Malaysia instead of conspiring with South Korea "and other hostile forces." South Korea's spy agency meanwhile claimed that the murder was part of a five-year plot by Kim Jong-un to kill his half-brother. Jong Nam was the son of Kim Jong Il and his mistress Song Hye Rim, a former leading actress. Despite being the elder Kim's oldest son, he had a low-key upbringing and even served in the government until his fall from grace after being caught trying to enter Japan using a fake passport to visit Tokyo Disneyland. When the accused were first charged in April, defence lawyers had claimed that the police were withholding evidence, which they denied. Referring to the government's decision to allow the three North Koreans to return home, Gooi had told reporters, "We've lost an opportunity to cross-examine them ... There should be no trial by ambush." Besides the post-mortem, arrest and chemist reports, the prosecution has since provided the lawyers a further 33 documents and CCTV recordings. Depending on the trial's progress, between 30 and 40 prosecution witnesses could be called to testify. "Having seen the CCTV recordings, I hope the judge will have a better understanding of how the situation took place," Gooi told Reuters, adding that he had also requested a visit to the crime scene during the trial. Meanwhile, Doan's lawyer, Hisyam Teh Poh Teik, who had visited his client a day before the trial date was set, told the press, "She's a bit anxious about the trial, but she feels confident. She knows she is innocent."